Daily sightseeing, dining and unforgettable views. Sailing from Newport Landing on the banks of the beautiful Ohio River, BB Riverboats offers lunch, dinner, kids and holiday cruises, plus many specialty cruises. Plan your unique group outing on the Ohio River with a BB Riverboats cruise. Whether you’re planning a wedding, corporate, or special event, we’re here to help you every step of the way. SAVE 25% on your souvenir photos, when you pre-order online. $5.00 admission for children on Tuesdays & Wednesdays. We're happy to provide a wide-ranging roster of entertainment options for our guests. Sign up today for your FREE membership! When you join ClubBB, you’ll receive exclusive member benefits, special discounts, and more. Follow BB Riverboats on social media to get the latest news, information, and to hear about our newest cruises and adventures! 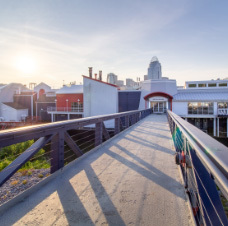 You haven’t experienced Cincinnati until you step aboard a BB Riverboats cruise. And, when you do, you will want to share it with others time and time again–and that’s exactly how Ben and Betty wanted it.